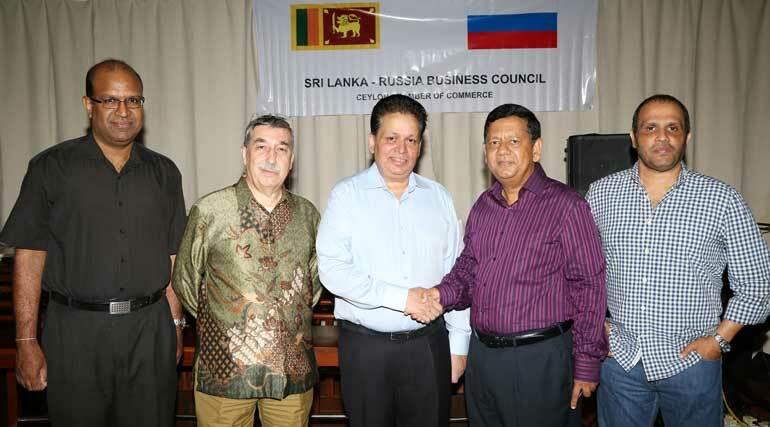 The Sri Lanka-Russia Business Council felicitated Dr. Saman Weerasinghe on his appointment as the Ambassador Designate to the Russian Federation on 11 August at the Sundowner Lounge of the Colombo Swimming Club. Several of the council’s members, the Chamber and other members of the business community and high-ranking Government and Russian Embassy officials were present. The President further requested Dr. Weerasinghe’s fullest support and cooperation to enhance business relationships between the two countries. Dr. Weerasinghe received his primary education at Tangalle College, and Secondary education at Mahinda College Galle. Thereafter, he proceeded to Russia to pursue his higher studies in medicine, upon winning a full scholarship from the Government of the USSR to the prestigious Moscow State Medical Academy. Upon completing his studies, he was awarded a First Class Honors Degree in Medicine. He has also served as a consultant to the international section of the Moscow State Medical Academy. During his academic career in Russia, Dr. Weerasinghe developed strong ties with Russia and became an advocate for stronger Sri Lanka-Russia cooperation. As an entrepreneur, Dr. Weerasinghe was responsible for introducing several lucrative investment and trade opportunities to Sri Lanka through the Russian business community. He has been at the forefront in trade and economic affairs between Russia and Sri Lanka. He has been an active participant in the development of economic and cultural affairs between Russia and Sri Lanka in the last two decades. ​Dr. Weerasinghe wa​s also ​an adviser to former president Mahinda Rajapaksa. In addition, Dr. Weerasinghe holds the position of General Secretary of the Sri Lanka-Russia Friendship Society. In June 2013, Dr. Weerasinghe was awarded the ‘Order of Honour’ of the Russian Federation, by Russian PResident Vladimir Putin, upon signing a decree to decorate Dr. Weerasinghe with the said award. The award was made in recognition of the yeoman service rendered by Dr. Weerasinghe in developing, fostering and strengthening bilateral ties between Sri Lanka and Russia. This is the highest national honour awarded to a Sri Lankan by the Russian Government.